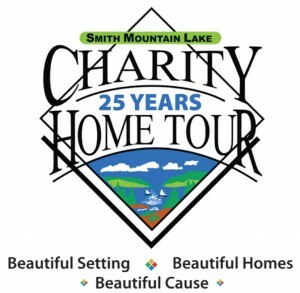 Founded in 1991 by Jeanne Wagoner and her husband Joe, the Smith Mountain Lake Charity Home Tour has raised $3.8 million for nearly 40 area charities. 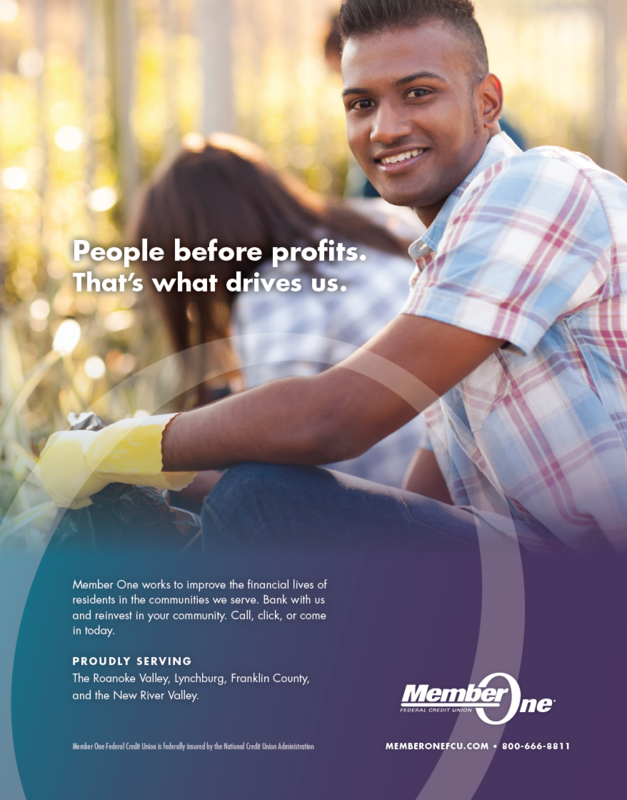 These organizations provide critical services such as food, crisis financial aid and clothing, counseling, medical care, and advocates for abused or neglected children. 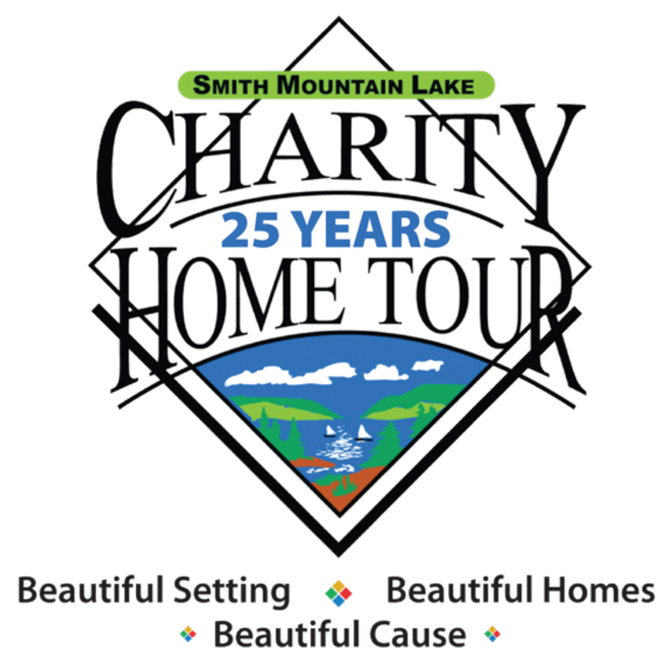 In its 25th year, the Charity Home Tour continues to make a positive impact on the lives of people in the Smith Mountain Lake region. This year, the home tour will be held October 9, 10 and 11. 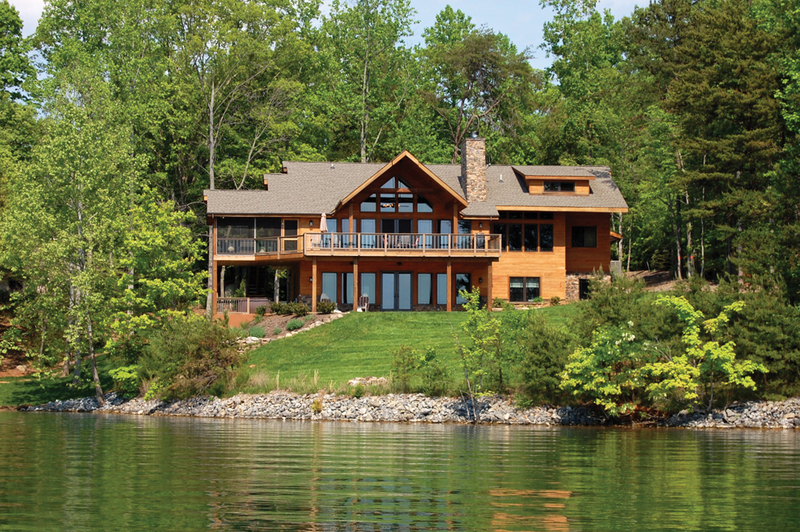 The 2015 tour, presented by VC Design & Build, showcases eight beautiful waterfront homes that offer visitors ideas and inspiration for decorating, remodeling and landscaping. The mix of this year’s new and remodeled homes features unique kitchens, outdoor living spaces and spectacular lake views, as well as artifacts and collectibles that reflect owners’ travels and personal tastes. Sitting on a flat, grassy point with 800 feet of shoreline, the Adams home is a mix of Colonial style with Craftsman pillars. Its lovely blue color is accented with bright white trim. A two-story stone fireplace dominates the great room, which flows to the kitchen and dining area, all of which have attractive hickory flooring. The main floor master suite has a clever closet-to-laundry room pass-through designed by the homeowner. Three guest rooms are upstairs with two baths and a sitting area. The Chadason home, a blend of rustic farmhouse charm and modern lines with Arts and Crafts details, exudes both comfort and cordiality. The style is clean and uncluttered with impact from architectural aspects—soaring ceilings, chunky wood beams, stone fireplaces, an additional stone wall and distressed wood flooring. Scattered throughout are rugs and artifacts acquired during 27 years of living overseas. Notice the unusual bathroom sinks and vanities, and one bath with a Finnish sauna. The Berdine home on Craddock Creek was remodeled to make wonderful use of space. Only the roof and studs remain of the original home. 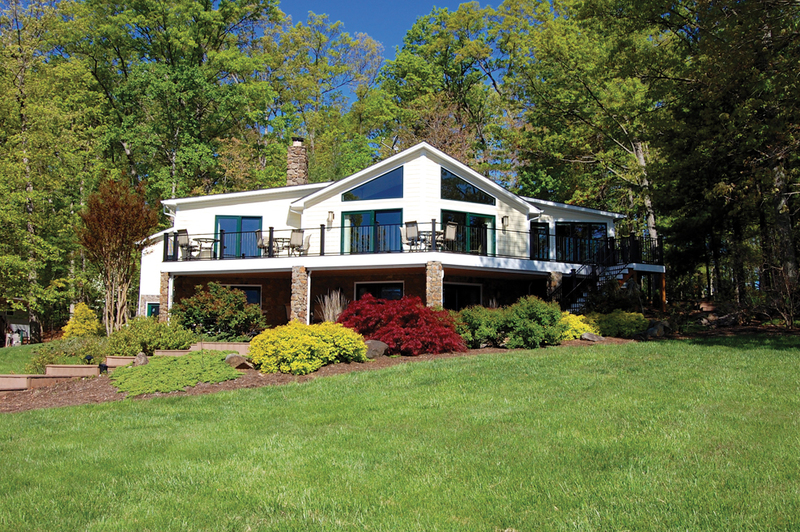 Within the same footprint, everything is new—the room arrangement, gourmet kitchen, sunroom, three bedrooms, larger windows and doors, hand-scraped flooring and a new deck with glass railing to emphasize the spectacular view. 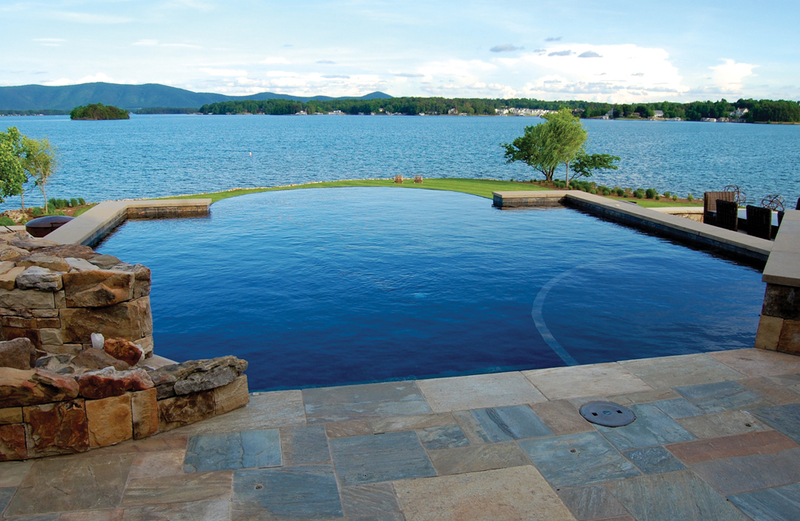 Beyond a delightful waterfall, a series of ponds extends over 50 feet along the lakeside of the house. The Wetter/Sayre home exemplifies how a weekend lake house can be transformed to a modern open-concept home perfect for entertaining and full-time living. With the help of an architect, part of the house and the former garage were redesigned into dining, living and kitchen space, and a new garage was added. Other interior features include a tree root cocktail table, a unique sliding TV cover, and three fireplaces, one with a rough-hewn mantel. 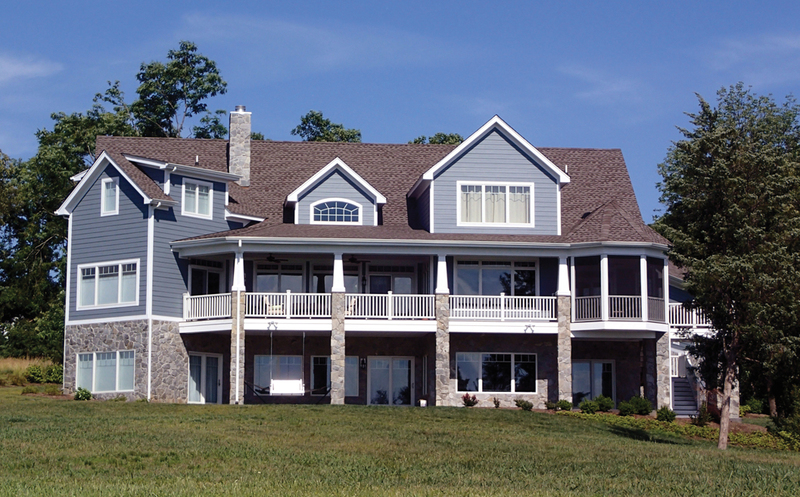 Located in Park Place near the “S-Curve,” the Snyder home was designed, placed and constructed to maximize expansive lake views using many very large windows. The main level has an open layout with an ultra-modern kitchen, fireplaces, furniture and accessories. Curves and circle designs are used throughout the house in rugs and doors, even garage doors. See unusual domed ceilings in the entryway and breakfast room. An octagonal observatory captures an almost-360-degree view of the lake. The Petrine home sits majestically on a large lot on the Blackwater. The exterior has multiple turrets, yet the home looks contemporary with large windows and gigantic wooden pillars. The interior reflects British Colonial style of the Virgin Islands with dark wood trim and simple, clean lines. Everything is eye-popping—an indoor great room garden, 11½-foot sliding glass doors, and a pool and patio with a stream and waterfall. 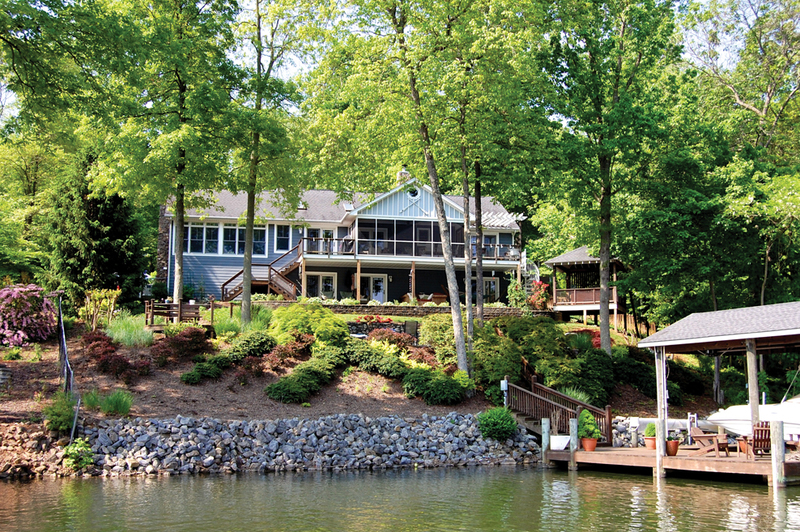 The Laseter home, located in Waverly, has a gently sloping path to the house from the dock on the Blackwater. Inside, the décor is a mix of contemporary pieces and family antiques. The kitchen features a unique round island that is perfect for food prep and chatting. The master bedroom looks out on an expansive view of the lake. 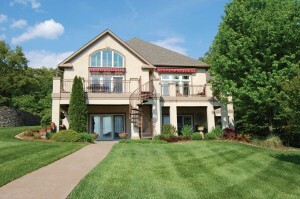 Downstairs there are two guest bedrooms and a family room with a fabulous built-in bar. Landscape additions include a beautiful Japanese maple in the front. art, furniture and artifacts from the couple’s time spent living in Taipei, Taiwan, and traveling in Asia. On the lake level, the West predominates with art from Colorado, Wyoming and Montana. Aspen log bar stools and coffee table are exceptional.